Stories of love, hope and recovery – all mixed with a healthy dose of humor. While Wilde uses that quote to illustrate the sometimes ludicrous nature of “high” society, it has a more powerful message when you look at it through the eyes of a writer. In today’s instant gratification, instant information culture, the amount of time we have to create copy/content has become extremely limited. Writing on deadline is not only a journalistic ideal, but a mandatory part of SEO writing as well. The unrelenting demand for content has come with a terrible side effect, the loss of accurate spelling, punctuation and sentence structure. Every morning I start my day with a look through multiple digital media outlets. I start with The Wall Street Journal and New York Times; make my way down the coast to Atlanta and CNN; then to the West for The LA Times; across the pond to BBC News from London; then round out my digital globetrotting with the Associated Press and Reuters’ websites to read the breaking news. After that, it’s checking my local news on all three broadcast networks and finally sitting down with a print copy of the local newspaper, the Las Vegas Review-Journal or “RJ.” Yeah, I consume a lot of news before I have finished breakfast. The one thing that I have repeatedly noticed? Typos everywhere. Doesn’t the writer realize that typos damage the credibility of their story? Don’t they realize that they are damaging the reputation of their publication each time they don’t thoroughly check their work? I’d hate to think that most news stories are entered through a smartphone, but odds are that’s closer to the truth than I even realize – because I have caught some errors that could only be attributed to auto-correct. The argument can be made by those who think the typo is “okay” that people are lazy and don’t read past the headline. To that I ask, what about those who do read past the headline? Should the people actually reading the entire article be forced to put up with atrocious spelling and expect their work to be called “credible”? My answer? Each time I see a typo, I can’t help but think that writers are dropping the ball and not doing their jobs right. It’s pretty simple, right? It just says that when you spell well, your writing has a fighting chance to reach and impact an audience. But then again, I may be asking too much. After all, as a wise friend of mine once said, “Not everyone speaks Sheri,” meaning that I communicate differently than most everyone else. I wrote script and cursive and read aloud from National Geographic by the time I was four and then wrote my first lines of computer code by the time I was eight. 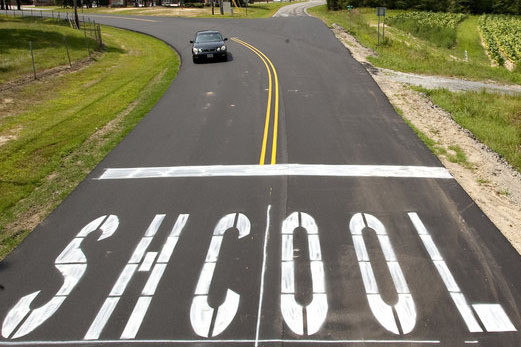 But it all boiled down to one thing, I have always known the importance of spelling. The reason that I began reading so early is because I was taught to sound out my words, using phonics to make sure I was pronouncing words correctly. When it came time to write, I used the inverse, sounding out the words to ensure their proper spelling on the page. Over my lifetime spelling has become my stock in trade, so when I see a typo or witness the desecration of the English language on social media, I cringe. But that’s the thing, isn’t it? Shouldn’t we all be cringing when we see a typo? I would think so, but maybe that’s just me. Right now, in schools all over the world, they are taking handwriting out of the curriculum. To me, that is tantamount carelessly wiping an endangered species off the map. When we take handwriting away, we take away a sensory mechanism for teaching proper spelling. Besides, in our instant information/instant gratification culture, a handwritten letter sent by snail mail has become a treasured artifact. Michael Honor on What "lives" in houses.